The Chugach National Forest stretches across south-central Alaska from Prince William Sound to the Kenai Peninsula, and was the national forest selected to provide the 2015 U.S. Capitol Christmas Tree. 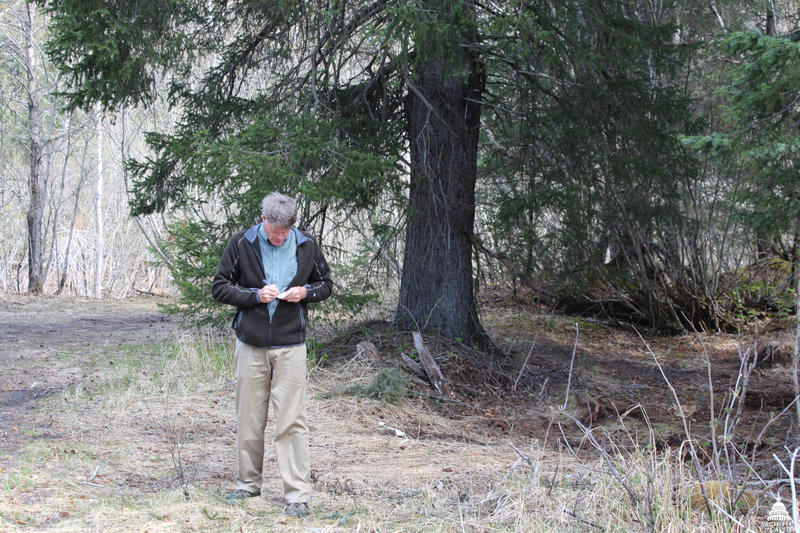 How do you pick just one tree from an area the size of New Hampshire? As the Superintendent of the Capitol Grounds at the Architect of the Capitol (AOC), it was my job to evaluate and select such a tree this summer in Alaska. This is the first time that a tree is coming from Alaska to the West Front lawn for the holiday season. 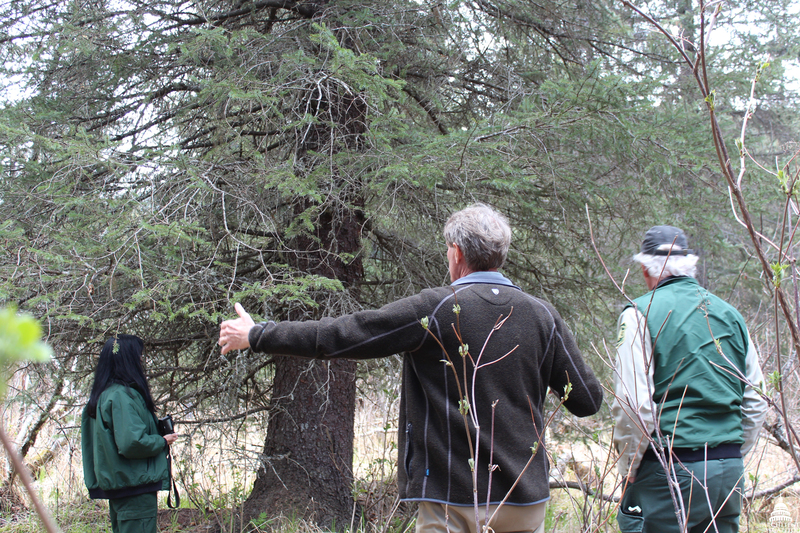 The Chugach National Forest employees spent months searching for the tree candidates they would present for consideration to be this year's tree. 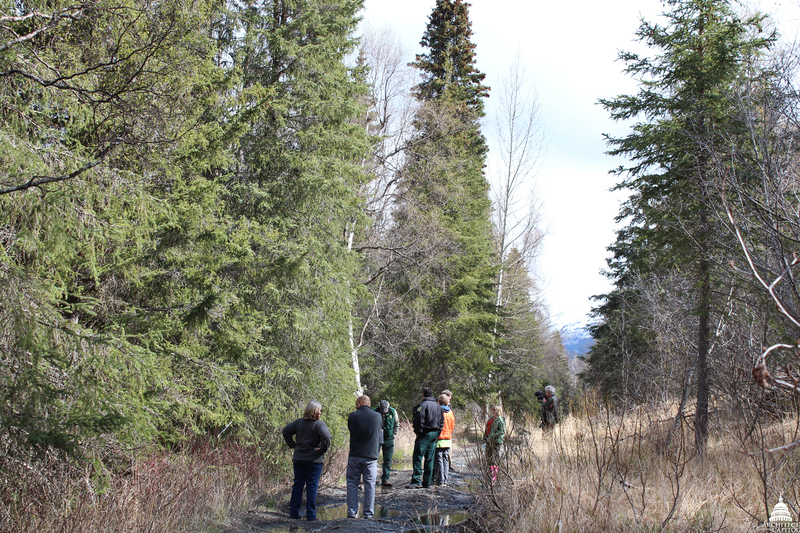 The Chugach National Forest team provided details on each of the potential Capitol Christmas Tree candidates such as species, location and approximate height, along with a photo. Primarily, the trees I was considering from this Alaska forest were within two hours of Anchorage and were all lutz spruce, a hybrid of the coastal Sitka spruce and the more interior white spruce. Each of the candidate trees had some level of hybridization, with traits more closely resembling one or the other species. We drove around the Chugach, inspecting each candidate tree and assessing its worthiness as the 2015 Capitol Christmas Tree. Along the way, we saw some amazing wildlife and miles and miles of scenic views. While each of the tree candidates had some worthy qualities, it is my job to ensure the tree selected meets the criteria from my own unique selection process to get the best tree we can display on the West Front Lawn. Height: Tree is 65-85 feet in height. Shape: Tree needs a perfectly conical shape. Unlike Christmas trees placed in many living room corners, the Capitol Christmas tree it will be viewed from all sides. Characteristics: Tree must possess typical tree characteristics for that species as well as a straight stem, uniform branching, natural density and a good rich color. The Forest Service takes great pride in providing the Christmas tree that will grace the West Front of the U.S. Capitol during the holiday season. They also coordinate the creation of thousands of ornaments made by Alaskans to adorn the tree. It's always amazing to see these regional cultural resources displayed on a national stage. West Front Lawn of the U.S. Capitol ready for this year's tree arrival. Once the tree makes its way from Alaska down to the lower 48 states and across the country to Washington, D.C., the AOC Capitol Grounds staff does an excellent job of sprucing up, lighting and decorating the tree for its moment in the spotlight. We still have plenty of work ahead when the tree arrives at the U.S. Capitol in November, but we know the Capitol Christmas Tree will look amazing when it is time for the Speaker of the House to flip the switch at the tree lighting ceremony in December. It's one of the things I look forward to most each holiday season. The 2015 Capitol Christmas Tree was harvested October 27, it will arrive on November 20 at 10 a.m. and the lighting ceremony will take place on Wednesday, December 2, at 5 p.m. on the West Front Lawn of the U.S. Capitol. The ceremony is free and open to the general public. what a great tree.... it is incredible the long way to enjoy the lighting of it.